Home > Tips > Can I Give My Dog Melatonin – Is it safe? Can I Give My Dog Melatonin – Is it safe? 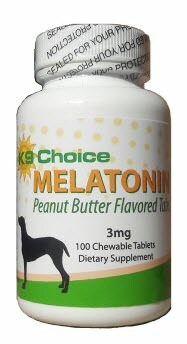 Melatonin is a drug which is generally used to treat a wide range of health issues in dogs like anxiety, hair loss, phobias, anorexia, Cushing’s syndrome and insomnia etc.., Melatonin for dogs generally works as a sedative by supplementing the natural occurring neurohormone produced by the pineal glands and is most often used to calm dogs which suffer from different types of anxieties. What are the benefits of Melatonin…? It helps to relieve anxiety. It helps to prevent seasonal hair loss. It minimizes the hardness of Cushing’s syndrome in dogs. It allows sleeping a lot better. Can I give my dog Melatonin…? Yes, you can give Melatonin for your dogs. The only thing you should consider is…have to consult your veterinarian before administering it to your pet. Melatonin works well for reducing symptoms of separation anxiety as well as general calming aid. The calming effects of melatonin help your dogs to feel relax and less agitated. 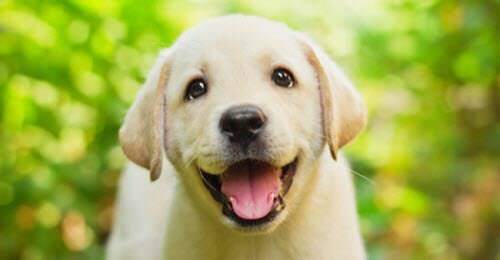 Unless specifically approved by your vet, the intake of melatonin should be avoided in dogs which are affected by allergies, seizures, bleeding disorders, kidney problems, brain problems and liver problems etc.., because it slows the blood clotting process. Melatonin is considered to be safe for dogs as it is a hormone produced in the body naturally. When the level of melatonin becomes low, sleeplessness and depression occurs. To replace the missing hormones and to overcome the fear, anxiety and poor sleeping habits your pet needs melatonin. However, melatonin acts as a powerful antioxidant and also helps to regulate the 24-hour cycle of various functions and processes of your dog. Although melatonin is regarded as safe for most dogs, it is still important to consult your veterinarian before administering it to your dog. Can a dog overdose on Melatonin…? If you find that your dog had taken too much Melatonin, contact your Veterinarian immediately and try not to be your own vet and come up with your own diagnosis and course of treatment because it may cause risky situations. 1 mg for dogs less than 10 pounds. 1.5 mg for dogs between 10 and 25 pounds. 3 mg for dogs between 25 and 100 pounds. 3 to 6 mg for dogs weighing more than 100 pounds. Is there any side effects…? Though Melatonin is considered to be a safe drug, it causes side effects too. There are few reported side effects of taking Melatonin in dogs that you should watch out for. Melatonin helps your dog to stay calm in nerve-racking situations and feel relaxed. It is considered to be a valuable drug to keep on hand for dogs with anxiety or sleeping issues. However, many dog owners feel that melatonin is considered to be a safe medicine for their dogs to overcome stressful situations in dogs.